I, _______________________ (motto), being of sound mind and body, and prepared, on this ____ day of _____________ [Anno ____ Sol in _______ ° of _______] do hereby resolve: in the Presence of _________________________, a Practicus of the A∴A∴: To prosecute the Great Work: which is, to obtain control of the foundations of my own being. Further, I promise to observe zeal in service to the Neophytes under me, and to deny myself utterly on their behalf. May the A∴A∴ crown the work, lend me of Its wisdom in the work, enable me to understand the work! Reverence, duty, sympathy, devotion, assiduity do I bring to the A∴A∴ and right soon may I be admitted to the knowledge and conversation of the A∴A∴! Let him read through this note of his office, and sign it, paying the sum of Three Guineas for the volume containing Liber CCXX, Liber XXVII and Liber DCCCXIII, which will be given him on his initiation. Let him cause the necessary addition to be made to his Neophyte’s robe, and entrust the same to the care of his Zelator. Let him make an appointment with his Zelator at the pleasure of the latter for the ceremony of initiation. 1. The Zelator shall proceed to the grade of Practicus at any time that authority confers it. 2. He shall pass Examinations in Liber E, Posture and Breathing. He shall have attained complete success in the former, i.e., the chosen posture shall be perfectly steady and easy; and attained the second stage in the latter, i.e., automatic rigidity. 3. He shall further show some acquaintance with and experience of the meditations given in Liber HHH. And in this his Record shall be his witness. 4. 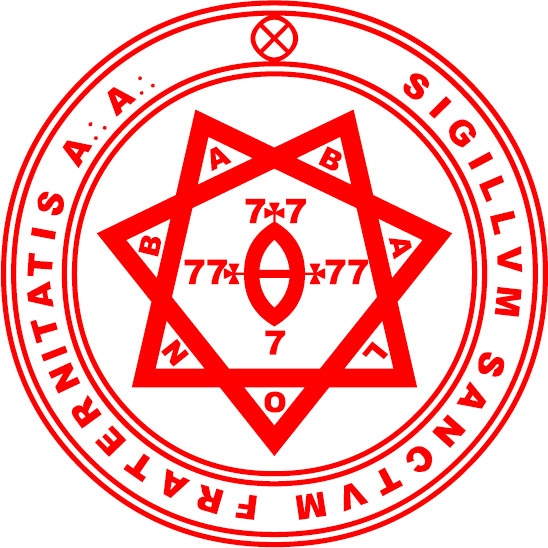 He shall commit to memory a chapter of Liber CCXX; he shall pass examinations in Liber HHH. 5. Beside all this, he shall apply himself to work for the A∴A∴ upon his own responsibility. Let him be mindful that the word Zelator is no idle term; but that a certain Zeal will be inflamed within him, why he knoweth not. 6. When authority confers the grade, he shall rejoice therein; but beware, for that is his first departure from the middle pillar of the Tree of Life. 7. He may at any moment withdraw from his association with the A∴A∴, simply notifying the Practicus who introduced him. Yet let him remember that being entered thus far upon the Path, he cannot escape it, and return to the world, but must ultimate either in the City of the Pyramids or the lonely towers of the Abyss. 8. He shall everywhere proclaim openly his connection with the A∴A∴ and speak of It and Its principles (even so little as he understandeth) for that mystery is the enemy of truth. Furthermore, he shall construct the magic Dagger, according to the instruction in Liber A. One month after his admission to the Grade he shall go to his Practicus, pass the necessary tests, and repeat to him his chosen chapter of Liber CCXX. 9. He shall in every way establish perfect control of his Automatic Consciousness according to the advice of his Practicus, for that the ordeal of advancement is no light one. (Only the short note pertains to Class A.) This Book is a superb collection of Litanies appropriate to the Signs of the Zodiac. Gives methods for attaining the magical memory or memory of past lives, and an insight into the function of the aspirant in this present life. Gives three methods of attainment through a willed series of thoughts. This book has not been published. It is the active form of Liber HHH. The article “Energized Enthusiasm” is an adumbration of this book. Is Chapter XXXVI. of the Book of Lies, giving an improved ritual of the Hexagram. This book deals with many matters on all planes of the very highest importance. It is an official publication for Babes of the Abyss, but is recommended even to beginners as highly suggestive. Its Chapters XXV, XXXVI, and XLIV are in Class D.
This course is specially adapted to the Task of this Grade, the Attainment of Hatha-Yoga.